Andrew Mozart is in love. He fell for Sarah the first time they met, but he could never find the courage to tell her. When she leaves work on a gap year adventure to South America, he thinks he has missed his chance. Until he moves desks, and finds her computer still logged in to her email account. Sarah's old emails reveal that she thought more of him then he believed possible. Armed with intimate knowledge of her secret desires, Andrew takes a risk for the first time in his life and boards a flight to Brazil. But when he arrives in Rio, Sarah has already moved on. Using only her emails home and the information he can gather from those who have met her, he sets off in single-minded pursuit of the girl of his dreams. For the unwitting traveler, danger lurks around every corner and a life-threatening encounter with train bandits forces Andrew to rely on the kindness of a stranger. Caustic Irish girl Kerry couldn't be more different from Andrew's dream woman, and yet for the first time in his life he begins to appreciate reality. That is until a journey to the end of the world ends in revelations that threaten to destroy everything Andrew believed was true. With Sarah always just one step ahead, fate seems determined to stop Andrew from finding love. When he becomes tangled up with guns, drugs and the Bolivian police, only his reckless determination and an unlikely friendship can save him. 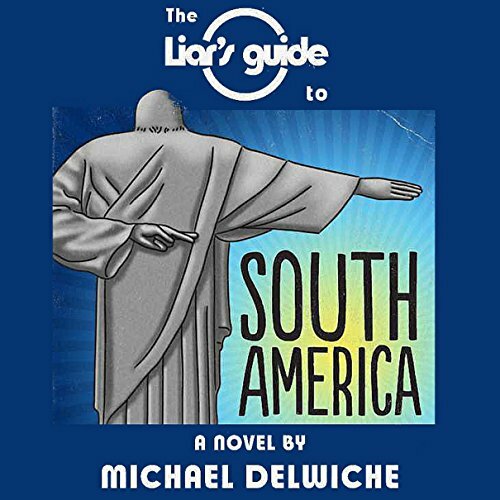 The Liar's Guide to South America. Don't believe a word of it.